The world is on the brink of chaos. As friend stands against friend…on which side will the world’s very first super hero land? 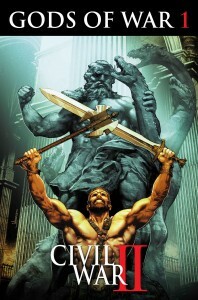 Find out as Hercules storms the front lines in CIVIL WAR II: GODS OF WAR #1 – a brand-new Civil War II series debuting this June from writer Dan Abnett and artist Emilio Laiso! As Civil War II grips the Marvel Universe, Hercules will ask himself – what role should a God play in the conflict. Is he responsible for a larger role in the potential destruction of the Marvel Universe? Or does he have the power to change fate and alter the course of history? Joined by Gilgamesh, Sigurd, Lorelei, Beowulf and Theseus – Hercules and his pantheon of ancient comrades charge headlong into a battle for the soul of the Marvel Universe. But who’s side are they on? The Gods are marching to war. 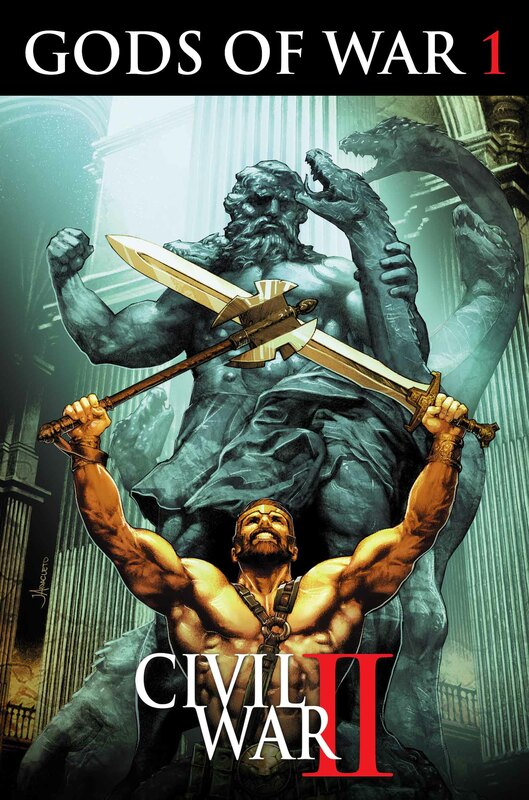 Be there as the battle kicks off in CIVIL WAR II: GODS OF WAR #1 – coming this June!